2 Peter 3:9-10 (KJB) The Lord is not slack concerning his promise, as some men count slackness; but is longsuffering to us-ward, not willing that any should perish, but that all should come to repentance. 10 But the day of the Lord will come as a thief in the night; in the which the heavens shall pass away with a great noise, and the elements shall melt with fervent heat, the earth also and the works that are therein shall be burned up. Yes, it is true every spiritually lost person in this world is in a battle for his soul. Though you cannot see them- there are indeed dark spiritual battles waring for the souls of mankind. Ever since the onset of sin into this world the day mankind is born he naturally moves towards his own death, or the final day of his physical life on this earth. One day your physical life will certainly cease to exist, and your last breath will fade away. Your bones will return to become as dust in the ground. Then what will happen to your soul for all eternity? Your physical death will leave you either spiritually lost forever or alive in Christ forevermore. What, death, you say? I am only a teenager. I am a young adult. I have many years to live ahead of me. I am young and invincible, and you’re kidding, right, my own death is a long way off. Or, I have lived many years and when it is my time to go, I’ll go. Or, they might say “I’m like a cat- I have nine lives. Many people choose to ignore the reality of their future date with death. Choosing to live rather precariously close to the darkened edges of life. By their poor choices, they precipitously draw ever closer and closer to circling the final drain of life. Perhaps one day soon you will “draw the short end of the stick” as the end of your life is abruptly called to its conclusion by God and you are no longer remain physically alive on this earth. The Bible tells us that God will live forever, but mankind is appointed to his certain physical death and judgment (Hebrews 9:27). Yes, every person will physically die. Then, if he or she dies without having a personal relationship with God, he will also remain spiritually dead, having to face God on bended knee to answer for how he chose to live in this world. It is sad, but many people seem oblivious to the reality of their own physical death. God already knows the exact day and hour of every person’s imminent physical death, including yours and mine. In fact, death happens every minute of every day and coffins certainly come in all sizes. It’s been said before that the flowers in the florist shop today might be used for your funeral, or that of your friend or family member, tomorrow. Only God holds the keys to both life and death (Revelation 1:18). Still, many people choose to play silly games and gamble with their precious God-given life, taking unnecessary chances like driving intoxicated with alcohol, or by choosing to fill their body with illicit drugs, or leading a life filled with sexual perversions and in with of these or other poor choices readily available in this world for bringing chronic spiritual and physical sickness onto themselves leading them straightway down a darkened alley to the time of their own date with death and God. Psalm 90:12 (KJB) So teach us to number our days, that we may apply our hearts unto wisdom. Did you know that it is possible for a person to just say no to making poor choices that lead only to death (Proverbs 1:10)? 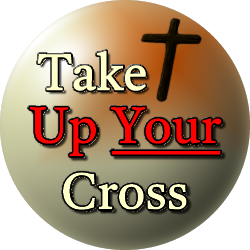 It is possible to walk away from the clutches of sin and choose to not get involved in addictions and habits which lead to ills and sin, and death? Addictions, ills, and the many sinful issues of life can war and weigh heavy upon every heart and soul existing in this dark and wicked world. God tells us that the condition of our heart is tantamount to living and life; both in this world and forever in the eternal realm following our physical death. Our heart is the well or the place where all our emotions sit, our every decision making takes place, including whether we desire to personally know God and choose to follow Him rather than align with the evil of satan at work in this world. God tells us to protect our heart by allowing Him to eternally secure it and keep it pure. Allowing God’s presence and grace to will and to work inside our heart cultivates eternal life and overflows with the goodness and righteousness of God. Having the eternal life of God at work in quickened alive hearts allows God’s character and desires to spring forth in a person’s life as he journeys through this world. Not only that, but be alive forever in the eternal realm upon his physical death in this world. However, a heart that is not eternally secured by the power and presence of God will only desire to spew forth evil and wickedness. Dead and darkened hearts naturally align with the desires and character of the god of this world. A person who harbors a dark spiritual heart condition will continually make poor choices in his or her life and be destined to die without choosing to live forever and have fellowship with God forevermore. Living forever boils down to this simple equation: Choose God, choose eternal life. Or choose sin and choose death; now and for all eternity. Romans 6:23 (KJB) For the wages of sin is death; but the gift of God is eternal life through Jesus Christ our Lord. 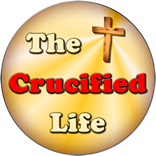 Life is precious and was given to each of us by God through the sacrifice of His Son Jesus Christ on Calvary. Quit taking chances with your life for your own physical death may be waiting around the next corner, or in the next needle full of heroine, or in a chronic illness brought on by poor life choices, or you find out you have incurable cancer and there is no hope for you to remain for long in this world. IT is true, whatever ails you physically can and will bring an end to your life according to God’s timing and will. However, your life does not have to end with death. God desires for every person to know Him personally (2 Timothy 2:4) and live forever in sweet personal and perpetual fellowship with Him. Living forever allows you to receive awards in this life and enjoy sweet fellowship with God forevermore.